There are a lot of Valentines Day gift guides out there. So we decided to make a treat yo self V Day edition of THE favorite things! 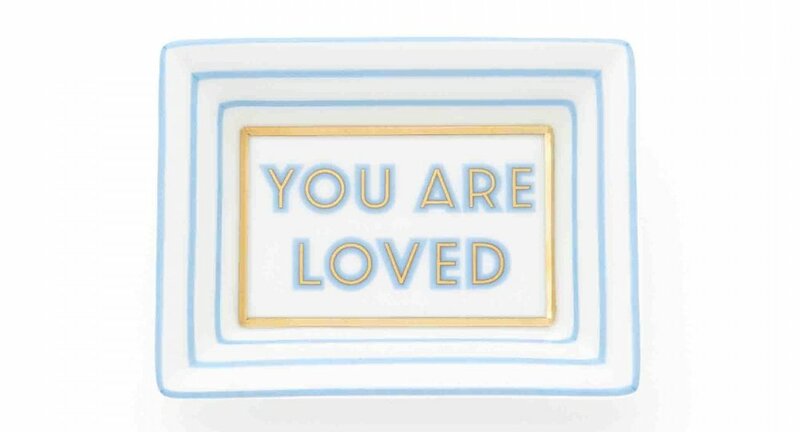 Trinket trays are great for holding jewelry, keys, change, and all the little bits and baubles. 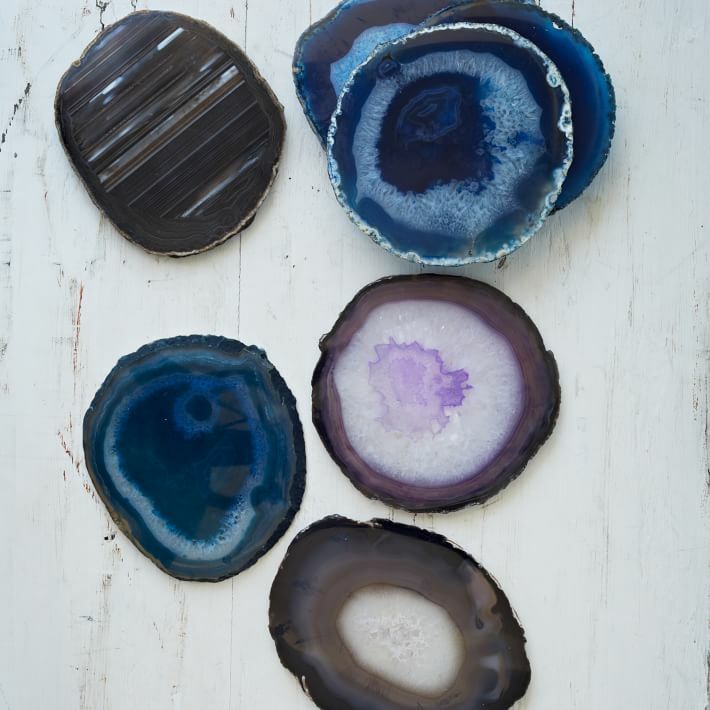 We love placing them in the bathroom, on nightstands, and in the entryway. 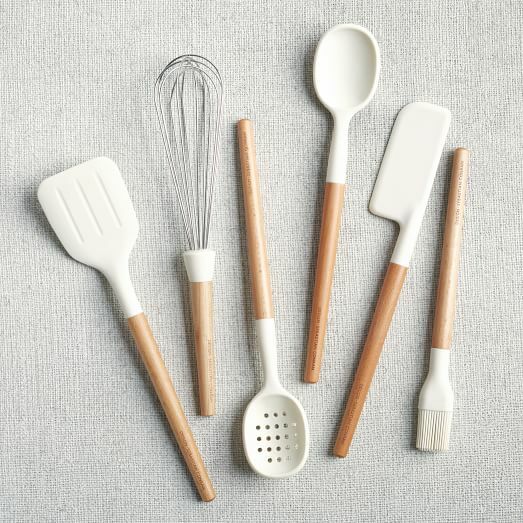 There’s something about matching kitchen utensils to make you feel like a fully grown adult. Nothing mismatched, nothing from college.. it’s like a dream come true for your drawer. 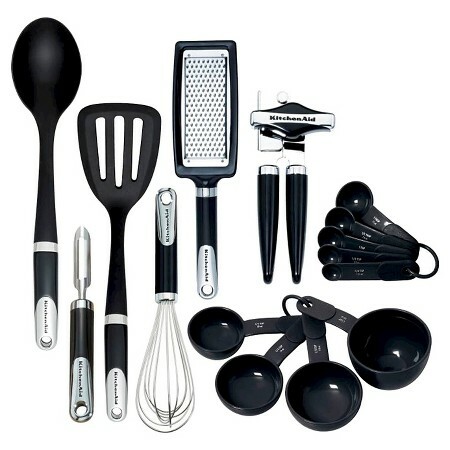 We prefer all white silicone, or the all black collection from KitchenAid – but pick your color palette, and get yourself a new set! 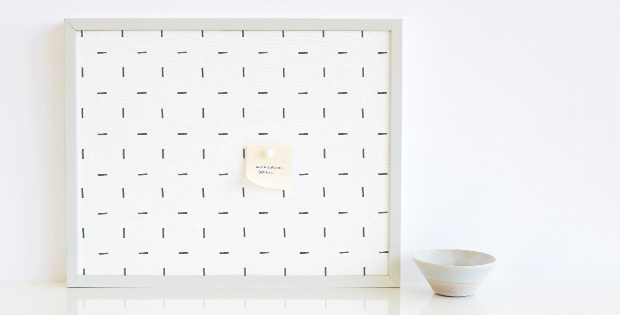 We’re obsessed with everything from Minted, but we just recently came across these pinboards. There are a ton of different prints that would fit a playroom, a mudroom, or in the kitchen command center. Our rule of thumb: Never have more people at your house than you have coasters for. Moral of the story: Get really good coasters. 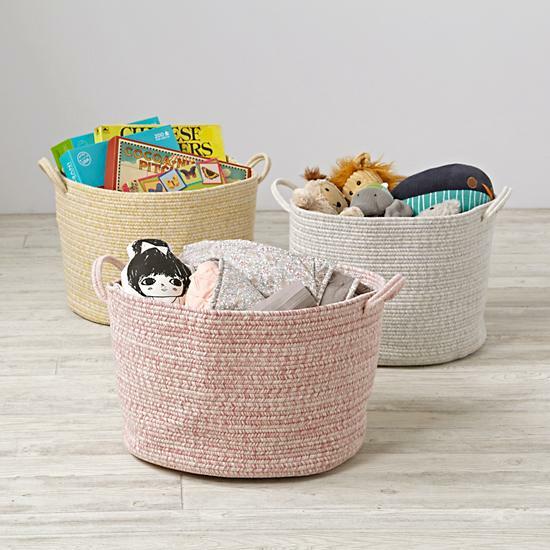 All playrooms and kids rooms should have great floor bins. 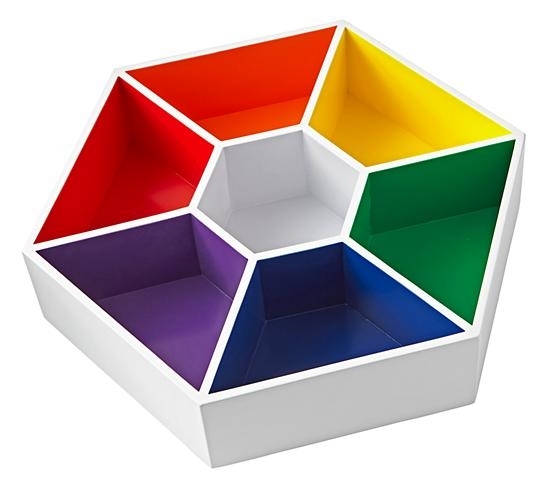 You can fill them with dolls, or books, or any other bulky toy. They help clear up space and add to the room’s decor. 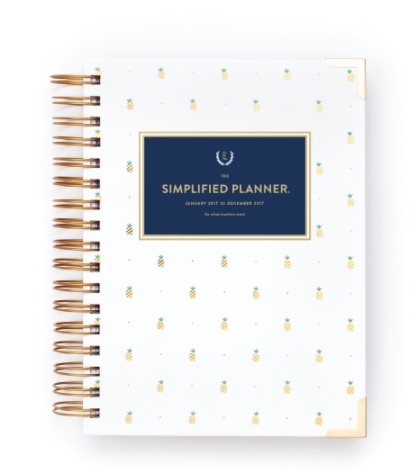 We have long been obsessed with Emily Ley and her line of planners. They are such a good way to prepare yourself daily, and organize all the aspects of your busy life. The new Modern by Dwell line at Target is giving us with ALL THE HEART EYES. 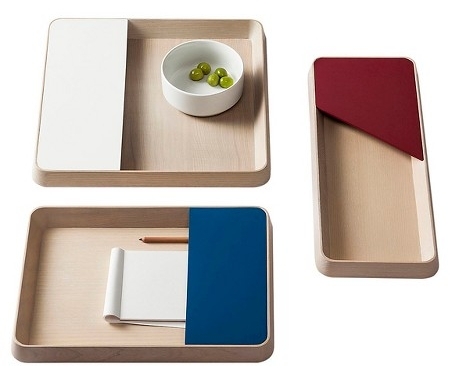 These trays are an absolute must have and make a great addition to an entry way table or a coffee table. 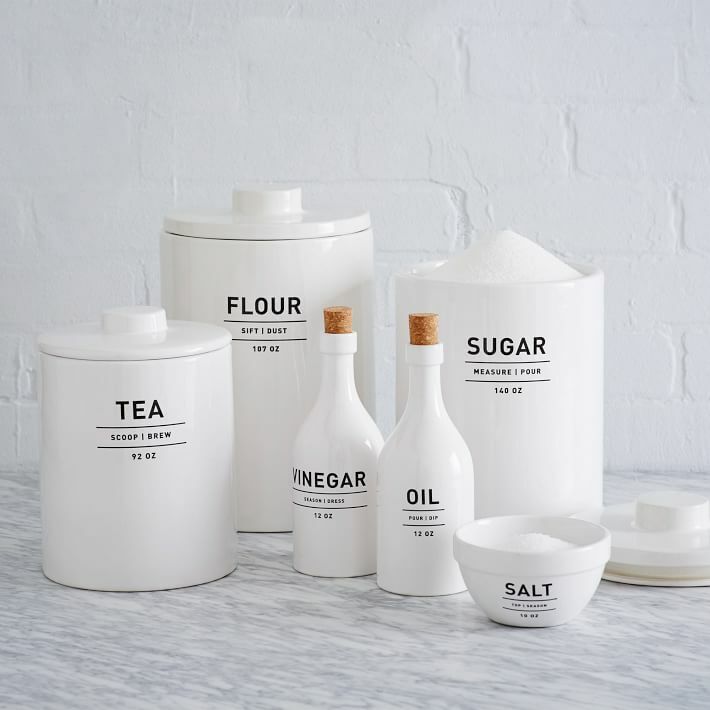 We are clearly fans of canisters, and even bigger fans of labeling. These kitchen canisters really get evvvverthing just right. Trends come and go, but we like to believe that white marble is here forever. 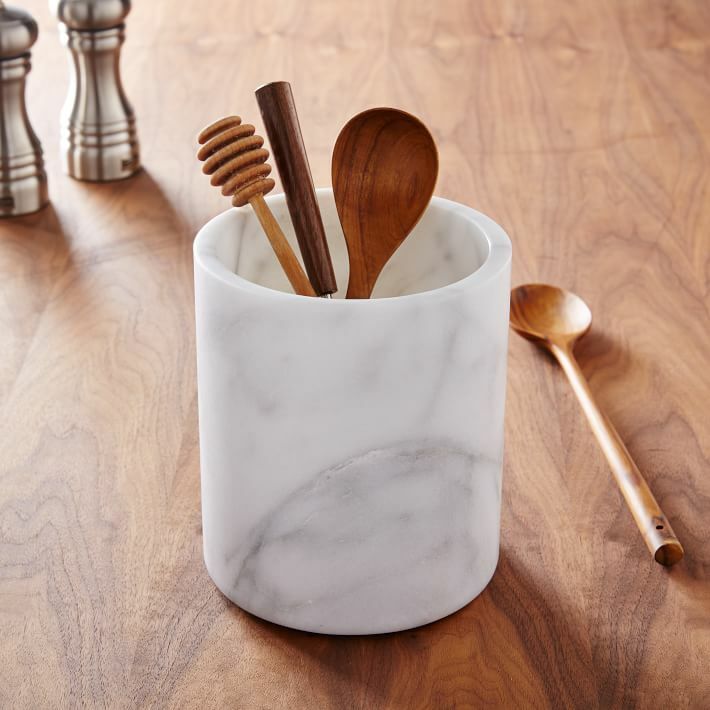 Containing your kitchen utensils with a marble holder instantly elevates your countertop, and holds your most-used items. The day we saw this rainbow turntable, we actually screamed out loud. OUT LOUD. It’s a thing of beauty and we can’t wait to use it in a million different ways!